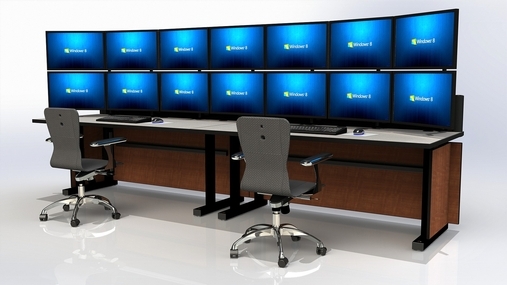 The Command Flex is targeted to network operations centers (NOC) and control rooms which are less concerned about being a showcase and simply need to perform while staying within tight budget realities. 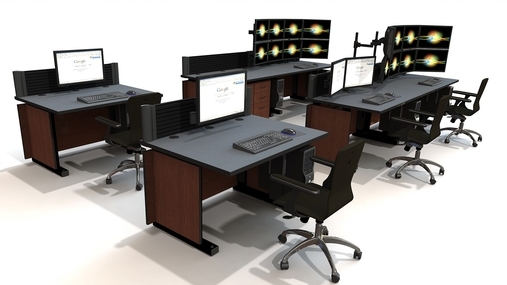 This console is designed around functionality, and it includes all the elements required for high productivity in a data center at much lower cost than a fully enclosed desk. 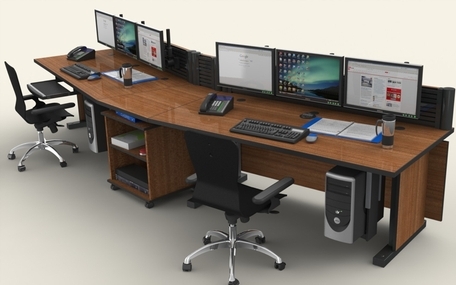 The Command Flex desk is supported by heavy duty 16 gauge welded steel frame for high strength and a long life span. A bull-nosed molded work surface edging protects your console from chipping and provides user-friendly ergonomics. 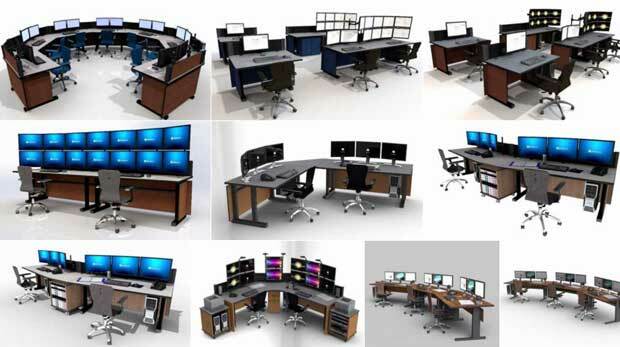 The integrated Slatwall Cube provides the versatility to mount monitors of various number and sizes, up to 70″. A wire management tray under the furniture’s work surface neatly routes cable from monitors or systems to the integrated power outlet strip. 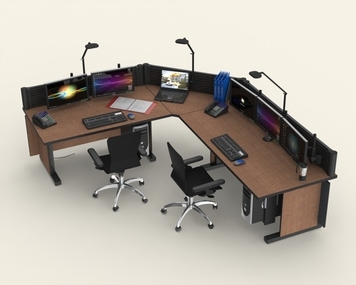 Command Flex can be configured with corner sections to give the user a continuous work surface. Front and side modesty panels can be added as needed. 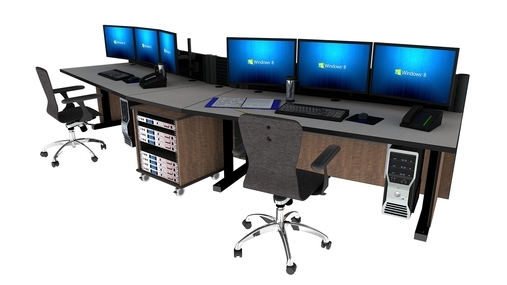 While the Command Flex line of furniture has everything needed for a productive control or operations center, we have worked to minimize cost compared to fully enclosed consoles. It features a more open and simple design to save significantly on structure and enclosure costs. 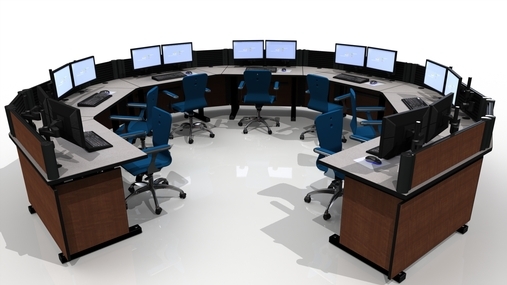 Several straight and cornering modules are available to configure a solution to your room size and application requirements. Installation is simple and can easily be performed by the customer or our experienced installation team.